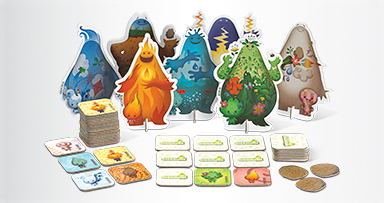 Enter a realm where magic reigns and the world’s elements are creatures with mythical abilities! 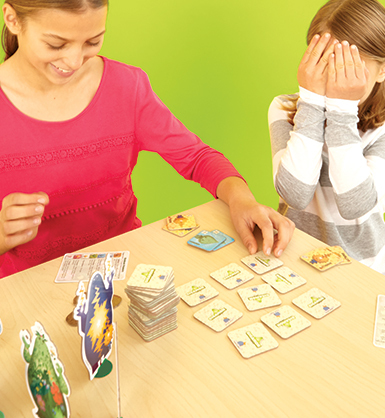 On your turn, you will look at 2 of the face-down Elemons on the table, revealing them to all players. When you find a pair of Elemons, you will earn them and also invoke their unique special power, giving you an advantage for the rest of the game. Every three of the same Elemon you find, will summon the corresponding Gigamon to your side. And when you have 3 Gigamons, you win the game! 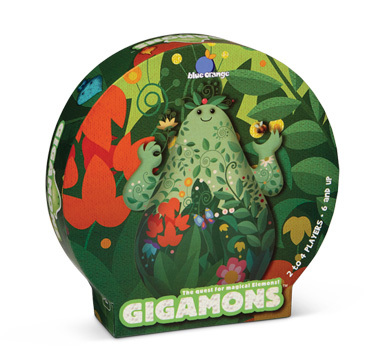 Gigamons is a game artistically designed to engage the player’s imagination and carry them away to a new world.